Worcestershire sauce is a tangy, fermented condiment that is often used to season meats and fish. Substitutes are available when you don’t have Worcestershire sauce on hand. Worcestershire sauce is a condiment made by mixing malt vinegar with flavoring agents. Garlic, molasses, lime, onions, anchovies, palm sugar, tamarind, soy sauce and other flavorings may be mixed with malt vinegar to give it the distinct taste. The original recipe stems from the United Kingdom, and consists of malt vinegar mixed with molasses, sugar, salt, spirit vinegar, anchovies, tamarind extract, garlic, onions, spices and flavorings. Flavorings typically included pickles, peppers, soy sauce, cloves and lemons. These mixtures are often sealed in oak barrels for a few months so the flavors can develop. Worcestershire sauce is frequently used to season meats and fish. If you find that you are out of this condiment in the middle of a recipe, there are a few substitutes you can use to create a similar flavor profile. The key to creating a substitute for Worcestershire sauce is to mix ingredients that create a fermented, salty flavor with a hint of spice that would mimic the classic brands associated with this flavoring. Using an equal amount of soy sauce in marinades. 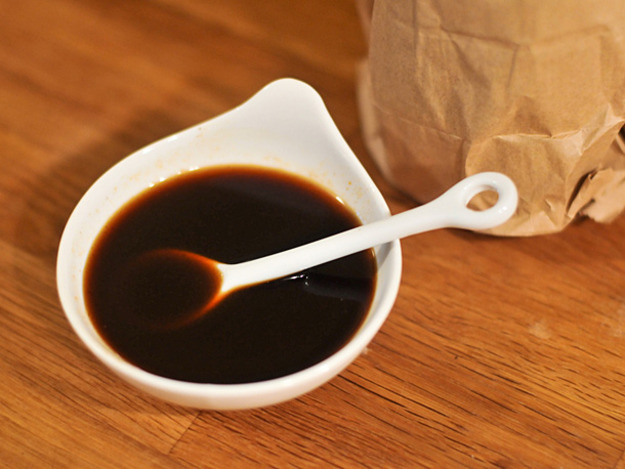 Many find that tamari soy sauce closely mimics the taste of Worcestershire sauce. For a spicier version of the condiment, combine ¼ teaspoon sugar with 7 drops of tobacco sauce. Many find A-1 steak sauce closely mimics the flavor of Worcestershire sauce in recipes. When using condiments to flavor meat, liquid smoke or hickory smoke flavoring can often be used to replace Worcestershire sauce. Combine red wine vinegar, fish sauce and a dash of salt to create a condiment similar to Worcestershire sauce that can be used for grilling. If you plan to use this condiment for coloring, add a bit more sauce than your recipe calls for as this version is a bit lighter than the original. Mix a teaspoon each of soy sauce, tamarind paste and white vinegar with a pinch of cloves and a dash of hot sauce for a condiment that is similar in flavor to the original. Mix a tablespoon each of lime juice, molasses, garlic powder, vinegar and soy sauce with three dashes of hot sauce and two pinches of sugar. This substitute for worcestershire sauce is ideal for applications in dips. Over medium heat, combine 4 teaspoons balsamic vinegar, 1.5 cups beef or chicken broth, 2 teaspoons molasses, ¼ teaspoon ginger, a pinch of white pepper, a pinch of garlic powder and salt to taste. Bring the liquid to a boil, and then lower it to a simmer, allowing the liquid to reduce by half. Some choose to make homemade Worcestershire sauce because they are not comfortable using condiments that contain animal products. Several vegetarian or vegan recipes are available to address this market. Combine 1 cup cider vinegar, ¼ cup mushroom soy sauce, ¼ cup water, 1/3 cup dark molasses, 3 tablespoons lemon juice, 1.5 teaspoons dried mustard, 1.5 teaspoons salt, 1 teaspoon onion powder ¾ teaspoons ground ginger, ½ teaspoon black pepper, ¼ teaspoon granulated garlic, ¼ teaspoon ground cinnamon, ¼ teaspoon cayenne pepper, 1/8 teaspoon ground cardamom and 1/8 teaspoon cloves or allspice. Blend the ingredients, and then transfer to a saucepan. Boil until the mixture is reduced to two cups, and then run it through a sieve and bottle. Store in the refrigerator. In a saucepan combine ¾ cup soy sauce, 2 tablespoons Barbados molasses, 2 tablespoons low sodium tamarind concentrate, 1 tablespoon lime juice, 1 tablespoon malt, 1 warm chili, opened and deveined, 1.5 nutmeg seeds, 1 inch square of lemon peel, 1 inch finely slivered ginger root and 6 cloves. Stir the mixture as it comes to a simmer, and then allow it to boil for 8-10 minutes. Leave it to sit for at least a day, and then run the finished product through a sieve. In a fry pan, combine 500 mL brown vinegar, 1 green apple cored, peeled and cubed, 1 minced garlic clove, half of a ground ginger root, 1 tablespoon treacle or molasses, 1 tablespoon honey, 1 teaspoon cayenne pepper or chili paste, ¼ teaspoon ground cloves and ¼ teaspoon allspice. Allow the mixture to simmer for 60 minutes, then strain and use. For a very spicy mixture, combine 3 pounds cored, cubed and skinned cooking apples, 2 pounds brown sugar, 1 gallon malt vinegar 6 peeled garlic bulbs, 4 tablespoons salt, 2.5 tablespoons cayenne pepper, 2 tablespoons ground ginger and 2 tablespoons ground cloves in a crock pot. Allow the mixture to boil for 1.5 hours, and then let it simmer for a 90 minute cycle. Run the finished mixture through a blender to remove the lumps, then store in the refrigerator. Allow it to mature for the best flavor to substitute for worcestershire sauce. Combine ½ cup apple cider vinegar, 2 tablespoons water, 2 tablespoons low sodium soy sauce, 1 tablespoon brown sugar, ¼ teaspoon garlic powder, ¼ teaspoon mustard powder, ¼ teaspoon onion powder, ¼ teaspoon minced ginger, a pinch of cinnamon and a dash of pepper. Place the mixture on the stove over medium heat, allow it to boil for 45 seconds, and then let it cool completely before storing in a cool, dry environment. In a food processor, mix ¼ cup tamari, 6 tablespoons brown rice syrup, 6 tablespoons water, 2 tablespoons apple cider vinegar, 1 teaspoon barley malt syrup, 1 teaspoon ground ginger, ¼ teaspoon granulated garlic, 1/8 teaspoon cayenne, a pinch of granulated onion and a dash of ground cloves. Mix until the mixture is smooth, then poor into a glass jar and refrigerate. Leave the mixture to sit for a few days to allow the flavors to mature.